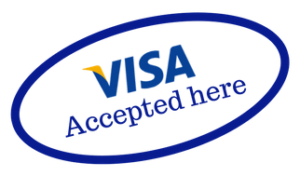 The Visa symbol is one of the most instantly recognizable logos on the planet. It is the payment method of choice for a sizable proportion of the US gambling population. The most popular Visa payment type is the credit card. However, you’ll also be able to use prepaid Visa debit cards and prepaid Visa gift cards. The prepaid gift card is the most convenient when it comes to online gambling. You can find it at a great number of locations across the US. Visa gift cards are already loaded with a set amount of money. Cards are usually available at $25, $50, $100, or more. Keep in mind: When purchasing the card you’ll pay a small fee over the amount on the card. Make sure the card is available for international use. Cards which state “only valid in the United States” may not be accepted by casino sites. To find locations where you can pick up a Visa gift card, use the main Visa website. It has a store locator tool. Remember: Having purchased a card, you’ll have to register it online. It will enable you to activate your card and the check balance on your prepaid Visa. Pros: Prepaid gift cards are a good solution for individuals who might be having trouble depositing with their card/account of choice. Or, indeed for people who don’t have access to another payment type. Con: Of course using a prepaid card means that once the card is out of money, you won’t be able to reload. On the other hand, this is a great way of setting yourself gambling spending limits. If a casino advertises that they accept Visa deposits, they will accept a prepaid Visa card. Fortunately, a good majority of online casinos accept this payment type, so you’ll have little trouble finding a site that fits your needs. If you are not sure how to make a deposit at an online casino using a prepaid Visa card, here is a guide. Register: Before you’re able to deposit to a site you’ll have to register (unless of course you already have). You’ll have to submit your name, address, and e-mail address. You may also be asked to verify your e-mail address by clicking a link in an e-mail the site sent you. Deposit Funds: You’ll now be ready to deposit. This is a quick and easy process. Once you’ve clicked the Visa link on the deposit page, you’ll simply enter the details of the card (the long number on the front and the 3-digit number on the back of the card). Confirm Address: You may also be asked to confirm your address. The site will check that the address matches the address you registered the card with. Establish Amount: You’ll then enter the amount you’d like to deposit (obviously any amount up to the amount loaded on the card). Process Complete: If the payment is accepted, the funds will appear in your casino account immediately and you’ll be ready to go. Some payment types have difficulty when it comes to processing payments from the US. This is due to the UIGEA legislation passed in 2006. The law restricts payments from financial institutions to gambling sites. However, prepaid gift cards will generally not come across such problems as they have a much higher acceptance rate than other deposit methods. Tip: If you are not sure which brand to buy, then contact the customer services at your casino, who will normally be happy to help. When you deposit to a site with a prepaid Visa card, you may be charged a small fee. Check with your casino first. Note that even where a fee is charged, many sites will waive this if you make a higher deposit of a specified amount. You’ll not be able to withdraw to the same method, as the cards are pre-loaded and topping them up is not an option. It’s recommended you check the alternative withdrawal methods specified on the site. For US players the normal option is a paper check. Sometimes you’ll also be able to choose bank wires or money transfer services such as Western Union. A good majority of casino sites offer sizable bonuses for new customers. All of these bonuses are applicable when depositing when depositing using a prepaid Visa card. While these offers look very similar on the surface, there are often big differences in the terms. A few things you should look out for include the play-through criteria and whether certain games are excluded or ‘weighted’ when it comes to bonus clearance. Best Online Casino – Bovada features 4 roulette games, including American and European Roulette. You can deposit money into your Bovada account using any Visa-branded credit card, gift card or check/debit card. Bonus: At Bovada receive a $3,000 casino welcome bonus and get three 100% match bonuses. Best Live Dealer Casino – BetOnline is our recommended casino for playing online Live Dealer Roulette, as well as a great variety of other games. 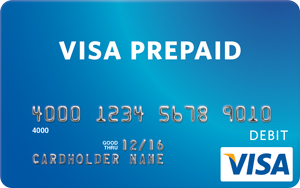 Visa Gift Cards and prepaid cards can be used provided they are specifically allowed to be used for international online purchases. Bonus: New players get up to $3,000 in Welcome Bonuses over your first three deposits. Best International Casino – Global players will enjoy playing online roulette at Betway in their live casino. Conducting your banking transactions via Visa Credit or Debit Card is both quick and efficient, as all approved transactions are automatically credited to your gaming account. Bonus: Join Betway Casino now and enjoy up to $1,000 Welcome Bonus when you join.